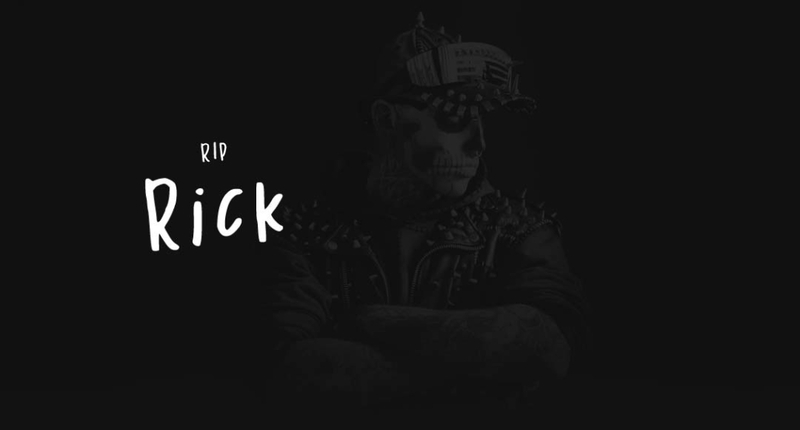 A few hours ago Rick Genist was found dead, at the age of 32 years leaving a woman and his children. Although we usually write about jobs and castings, today we wanted to make an obituary for one of the greatest people in the world! Strong, independent and just a nice guy. We were allowed to meet Rick with our fashion magazine a few months before his sudden death today in Montreal (Canada) for Interview. Even before that he was a very special person who encouraged us to believe in us and our idea. Various international media have taken up our news, as well as the daily El Pais from Spain has taken up our interview once again. It’s a sad message, because he was one of the most inspiring people. Whether commercials with L’Oreal, which we also show you right away or the music video with Lady Gaga. We are very grateful that we once had the opportunity to ask Rick Genest our questions and get personal answers, but also for another opportunity for our models to work with him. Rick Gin is an inspiring personality for us, raised in Canada, he rebelled early on, and was later even a squatter. He got his first tattoo at the age of 16, at the age of 19 he decided to tattoo himself completely to and “undead people” with tattoo templates, which he combined little by little and could create something completely new from it. After his discovery, he worked for the biggest international brands. In the end, as young as he was at the age of 32, he had not only worked for the entire high fashion industry but also made international commercials, including for American DIY stores such as Home Depot. So he had arrived in the midst of society. Everybody liked him, everybody accepts them. He had a wife, he had children, yet he chose it. What else could he have experienced? Be ours, your life is so precious! We must preserve his memory as a joyful person who has always made the world a little more colourful. RIP Rick. 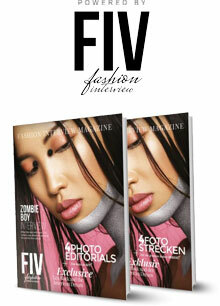 We have collected some moments from his life and his obituary from our Modemagazin. More from Rick Genest on Instagram. The most important facts about one of the greatest men models of our time! Read more in the interview with Rick (above). At 19 he decided to become a “living corpse”. The video is one of the most popular, it showed him for the first time in a facet you didn’t know about him before. Here his tattoos are concealed by products from L’Oréal and made visible again by the video being played backwards. While Zombie Boy was already popular in the high fashion and fashion industry of course, he has now, with this video, made it to general fame. After that he not only had jobs for customers L’Oréal, but also advertising contracts, as with the previously shown DIY stores. Awesome!